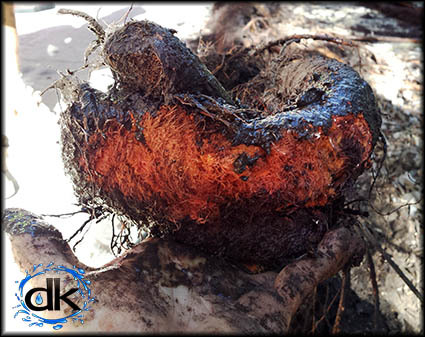 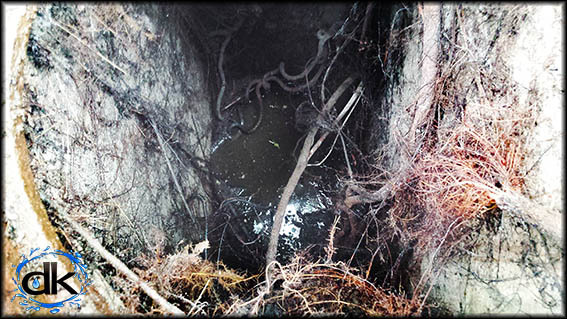 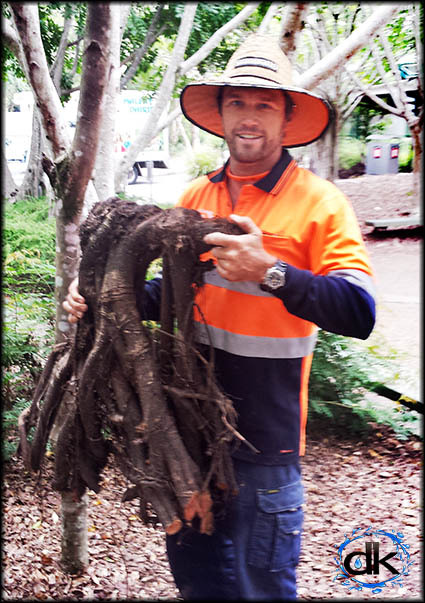 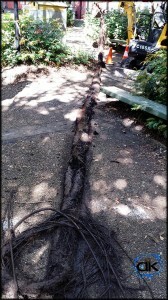 Stormwater drain unblocked – Unbelievable, mass tree root extraction! 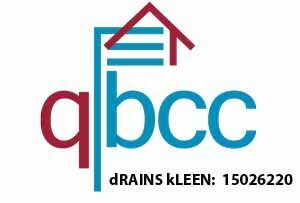 dRAINS kLEEN came to the rescue again!! Noosa Stormwater drain unblocked- Saving a $100,000.00+ drain excavation and replacement. 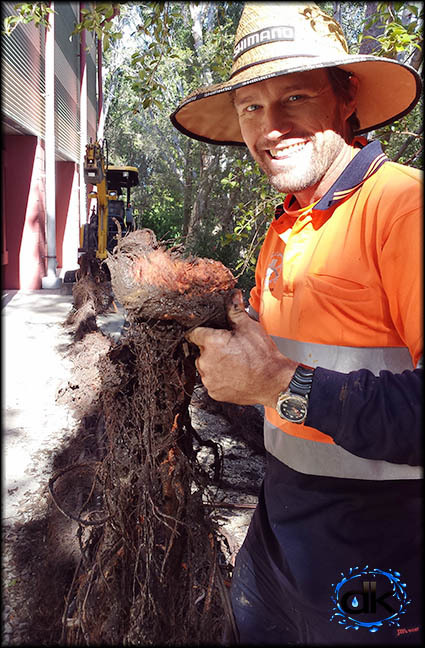 The blocked stormwater drains had been causing grief in Noosa so dRAINS kLEEN were called in to see if we could rectify the drainage problems. 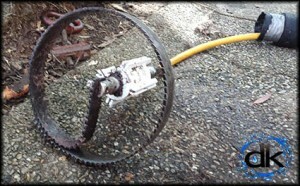 Experience, combined with the the right equipment and you get a job well done! 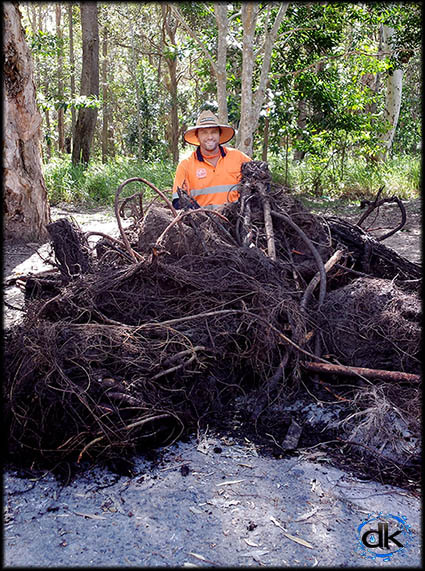 It was a truely amazing effort and a fantastic result, everybody could not be happier with the outcome and it was a real eye opener. 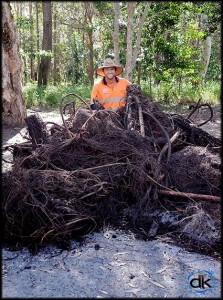 Never have we removed so much plant growth from the one drainage network before. We used root cutting heads and jett heads on the hydro jett pressure drain jetting trailer, cctv drain inspection cameras, machines and man power. 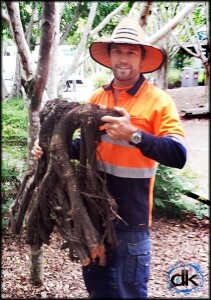 Within a couple of days we had the drains unblocked, and a mountain of tree roots to show for it. Now the drains have been completely cleaned of tree roots and garden matter it is time to time to look at patch relining. 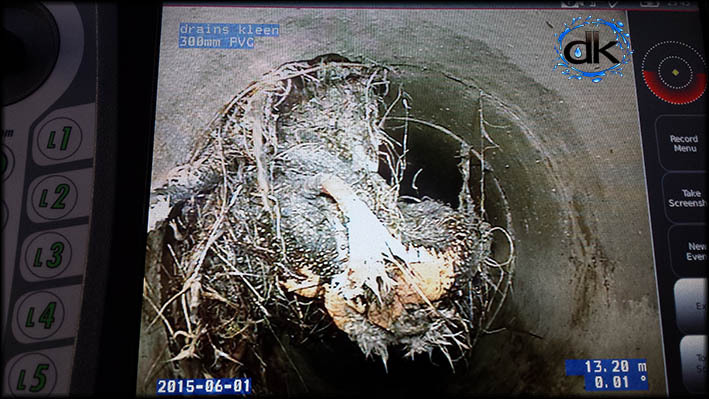 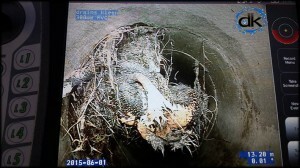 CCTV drain inspection camera could help us see exactly where the roots were entering the drain.